Do you know how much will it cost for a one percent efficiency loss on a typical Industrial Boiler? It’s not just the economic loss , it’s also loss of precious fuel and it adds to environment pollution. With this in view, we at FireCAD strive to help both Design Engineers and end users to carry out accurate designs of different types of Steam Generators. The idea to develop a tool in the form of a software was conceived in the year 2002. The same year FirCAD Technologies was founded by technocrat Shri. Narasimha Patrudu. 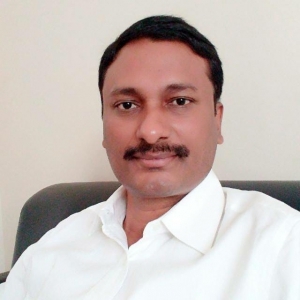 A Post Graduate in Thermal Engineering from NIT, his experience was mainly in design and engineering of various type of Industrial steam generators like Heat Recovery Boilers and Biomass Boilers. Over the span of next 3 years, Software for the design of these Boilers was developed and released. Located in Pune, India, now FireCAD helps design Engineers across different fields and countries with accurate and quick design solutions. In India,more than twenty cogen plants are successfully running with FireCAD designed Boilers for several years now with Boiler capacities ranging from 10,000 kg/hr up to 120,000 kg/hr. Another 140 TPH boiler is under construction in India at Harsha Sugars. One of the World’s biggest Bagasse boiler with 250,000 kg/hr steam capacity in Thailand, was designed using FireCAD software. We are also planning to release design software for AFBC Boilers soon. And expanding free online calculations to help Engineers with day to day calculations. >>The Author of FireCAD boiler design software which is used across the globe in more than 30 countries by reputed Boiler manufacturers and Consultants. >>The software can design Grate Fired Boilers up to 250 TPH, Fire Tube Boilers up to 50 TPH and Water Tube Package Boilers up to 400 TPH. >>A post graduate (M.Tech from NIT) in Thermal Engineering. >>Designed wide variety of Steam Boilers like Grate Fired Boilers, Fire Tube Boilers, Heat Recovery Boilers and FBC boilers for various Industrial Applications. >>Designed one of the largest bagasse boilers in the world with 250 TPH capacity supplied to Thailand. >>Designed well over 250 industrial boilers which are under operation in India and abroad.